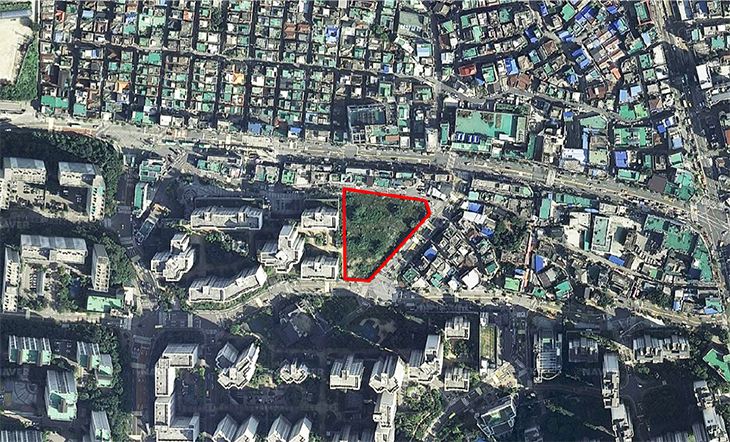 The site is located in the northeast part of Seoul in a buffer zone between a high-rise apartment area and the dense low-rise building area. 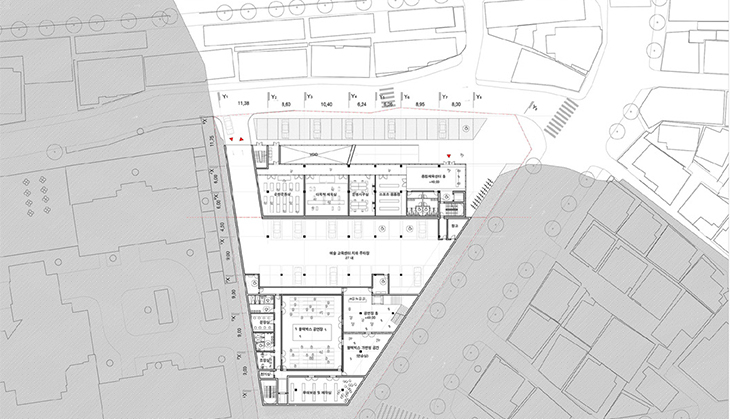 The site has become a critical point in which the two opposing urban textures connect. 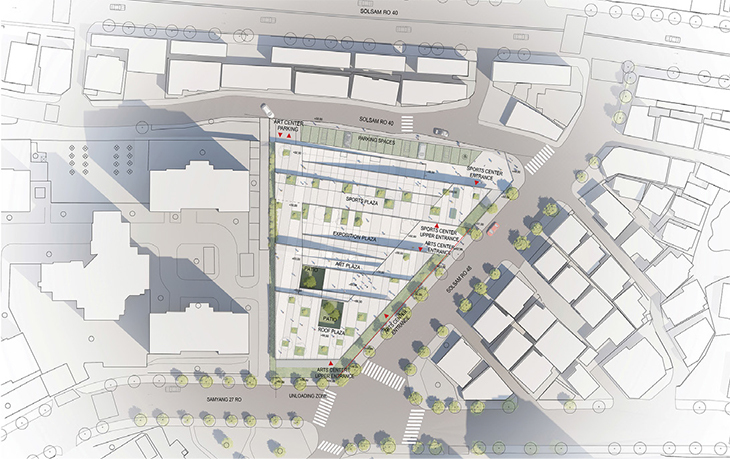 This largely open horizontal public space is an essential urban void not only for the apartment inhabitants whose contact with neighbors is limited in the vertical circulations but also for the inhabitants of dense low-rise buildings whose contact with community is limited in narrow streets between houses. 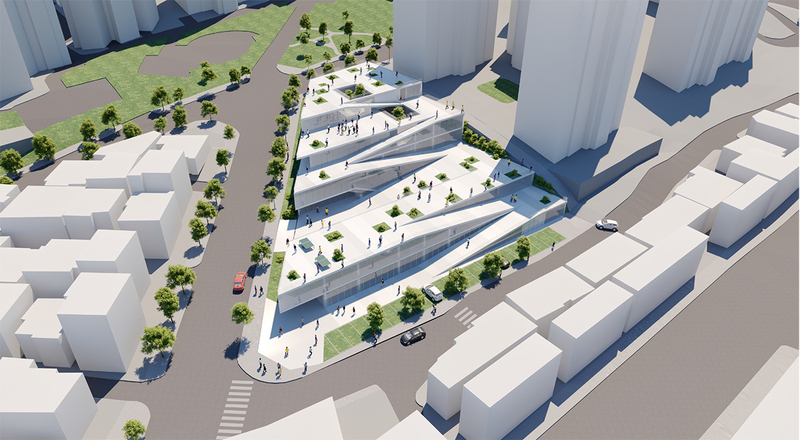 To maintain the site character as a belvedere of the district, the project programs are placed low and wide as possible, respecting the site division: sports complex programs on the lower north part and art education programs on the higher south part of the site. 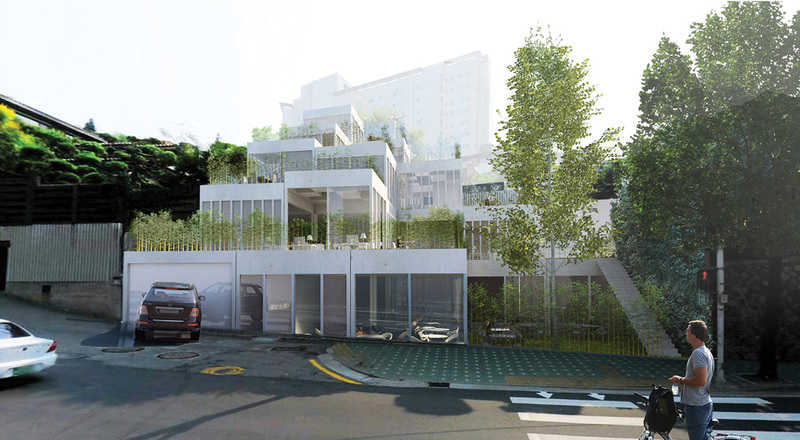 This spatial organization enables the roof of each floor to become the large front terrace for the upper level. 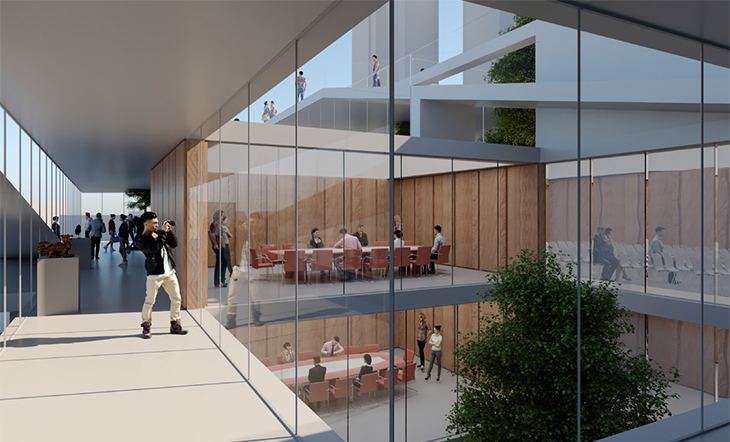 The new open roof terraces serve both the users of the arts and sports center and well as the general public. They are connected through vertical ramps and stairs from the ground floor to the highest terrace. 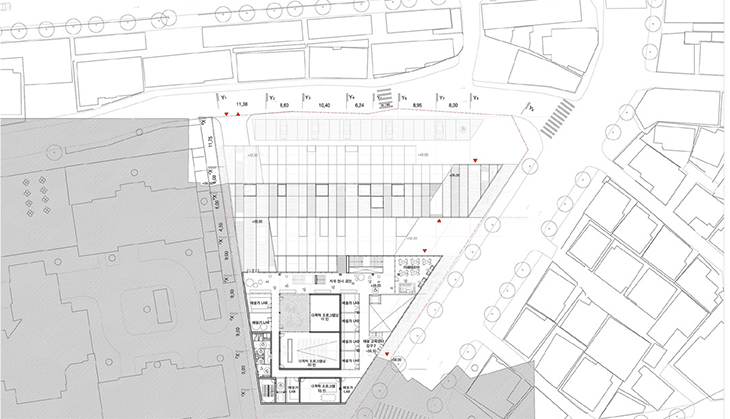 All of the programmatic elements in the project are linked together internally and externally in order to promote the mutual connection between different spaces of each floor.